Francesco is from Italy. He studied Interpretation and Translation in English and French and he has lived and worked in Italy, Ireland, Spain, Cameroon and Switzerland. 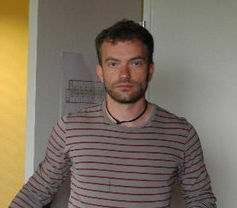 He is a Project Specialist and a Human Rights Activist. He took part in the start-up of the Prisoners' Rights Project for Global Conscience Initiative in the Buea office in 2009. Before and after this experience he cooperated with several NGOs. Francesco has a strong passion for human rights, international cooperation and sustainability. In Human IS Right his main tasks are coordinating the organization, starting up new projects and assessing the development of the existing ones.